The government of Rwanda has repeated many times that it has defeated Fdlr but every time Rwanda government made that claim went again to Congo to fight Fdlr. Let see how Fdlr was created . Fdlr was created to protect Rwandan Hutu refugees who were to the point of being exterminated by Paul Kagame . Fdlr came to the rescue of Rwandan Hutu refugees when those refugees were abandoned by international community . If the Fdlr did not have come to the rescue of Rwandan Hutu refugees , today we will not be talking about over 250000 hutu refugees still living in Congo. Kagame objectives were to kill all Hutu refugees in Congo as UN mapping report about Hutu massacres has given details how Kagame targeted women and children of Hutu refugees by killing a hundred thousands . 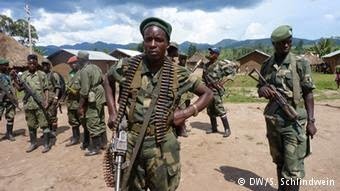 Fdlr has become a symbol of Rwandan people who are looking freedom from dictatorial and oppressing regime of Paul Kagame . Fdlr has shown that it is an organization that wants to bring Hutus and Tutsis together and build a long lasting reconciliation and that is why many people now in Rwanda Hutus and Tutsi support Fdlr organization because it is only one way they have left to be free or to have country that respects democracy principals. Fdlr has won because it has accomplished is main objective to protect Rwandan Hutu refugees who were being exterminated by their owner government that supposed to protect them. Kagame knows that if there is a free election in Rwanda and Fdlr is allowed to participate in it , Fdlr will win easily the election that is why Kagame does not want to accept Fdlr as political party or negotiate with Fdlr. I would like to thank Fdlr organization for protecting Hutu refugees in Congo and God may bless all Abacunguzi in their fight for freedom of Rwandan people.